There are currently four stories available to read, but they are posted as chapters, which makes it easy for everyone to go at their own pace or find an appropriate stopping point rather than keeping an open internet tab of long text so you don’t lose your spot. The chapters are nice lengths and the stories are unique and usually [but not always] come with some pictures that are drawn by the author. I really love the concept though and it’s nice to read some freshly creative stories. Another reason these stories are awesome is because they are well thought out and all exist in the same universe, sometimes causing characters to pop up in different places. This just adds more depth and flowing continuity to the M&M story-verse and makes it fun to keep reading. If you’re in the mood for some fun short stories, definitely check these out! Rick and Morty Pilot Episode! Adult Swim posted the pilot episode for their new show, Rick and Morty, from Community’s Dan Harmon. The pilot is a full 22 minutes and stars Justin Roiland, Chris Parnell, Sarah Chalke, and Spencer Grammer. The show is perfect for Adult Swim and this first episode was hilarious. Rick, Morty’s alcoholic, mad scientist grandfather is like a rapidly drinking Doc Brown who is always pulling Morty away in the middle of the night or during school to accompany him on wild inter-dimensional shenanigans. Definitely make sure to check out this pilot if you already enjoy Adult Swim. to entice you all further, Justin Roiland voices voices Lemongrab on Adventure Time, and this show definitely gives off a AT vibe. As 2013 is nearing its end, the quality of movies releasing only improves. With The Hunger Games: Catching Fire releasing this Friday, I’ve decided to put together which five films I am most looking forward to that are scheduled to release before year’s finish. I’m always attracted to unique stories, and Spike Jonez’ Her, starring Joaquin Phoenix and Scarlett Johansson looks like it will deliver the type of creativity that I’m looking for. Theodore (Phoenix) plays a man who falls in love with his top of the line operating system (Johansson) which is personalized to his needs.Jonez (Where the Wild Things Are, Being John Malkovich, Adaptation) is the sole writer and director of the film, which looks to be all sorts of weird, yet touching. After viewing the preview, I think Joaquin Phoenix is a perfect candidate for this role and I am expecting a very good performance out of him. Her is set to a limited release in the USA on December 18, 2013 and currently sits at a [very] early 100% rating on Rotten Tomatoes, “Tomatometer”, with 14 total reviews (5 from top critics). The movie also features Amy Adams, Olivia Wilde, and Chris Pratt, which only adds to the list of reasons to check this one out! I know that a lot of people probably have this film higher up on their priority list, but listen, it’s nothing personal, I’m just as excited for this film as all of you are. While there aren’t really reviews out for this yet, the cast and trailer should be all you need to immediately say, “sign me up for this one”. David O. Russell (Silver Linings Playbook, The Fighter) returns with another promising film that merges past star cast members from both Silver Linings and The Fighter. The movie stars Christian Bale, Amy Adams, Jennifer Lawrence, Bradley Cooper, and Jeremy Renner. The plot of the movie revolves around a con man (Bale) who gets place into a situation where he and his partner (Adams) have to work with a crazy FBI agent (Cooper). 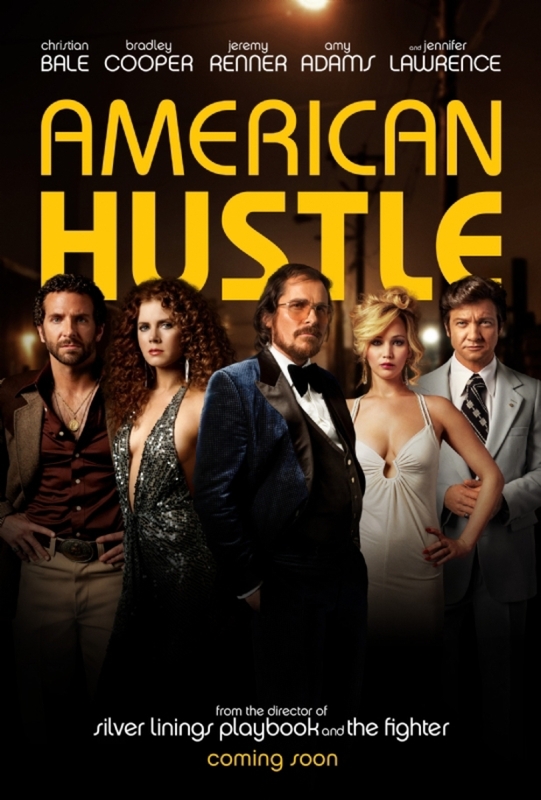 The preview revealed that the cast is going to make this movie great, especially Bale and Cooper.American Hustle is also hitting theaters on December 18th. I’m expecting multiple Academy Award nominations for this, so be sure to check it out! In what will be Ben Stiller’s fifth feature film as a director, The Secret Life of Walter Mitty looks like it is going to be a film that is similar to Big Fish (2003), which is one of my favorites. The trailer pretty quickly depicts many beautiful landscapes and a possible adventure about living life and taking chances. The scenes in this movie’s trailer just look amazing, I want them all as computer backgrounds. But seriously, I think this will be a heartfelt journey that pushes the imagination to its fullest and it has me really excited. 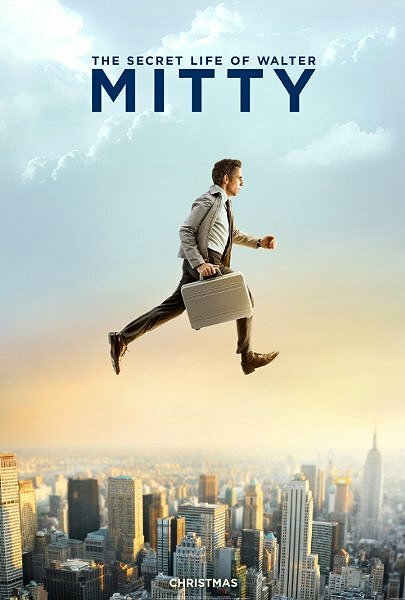 The Secret Life of Walter Mitty comes out on December 25th (Christmas Day) so the holiday spirit will be in full swing and a feel good movie like this will be perfect to relax to. I think Stiller will deliver a great performance as the main character, giving a nice blend of serious with an appropriate amount of light comedy. I really hope that a lot of people like this film, but if you have trouble letting your imagination wander, this might not be for you. I think watching the trailer makes it pretty easy to decide if you have any interest in this movie; however, I can’t wait! The Coen Brothers made an interesting choice for their next film, Inside Llewyn Davis, which depicts “the week in the life of a young singer as he navigates the Greenwich Village folk scene of 1961”. The cast immediately caught my attention; starring Oscar Isaac, Carey Mulligan, and John Goodman, while also featuring Justin Timberlake and Garrett Hedlund. Everyone loves music, and a combination of indie and folk music will make for a [hopefully] wonderful soundtrack as we see the true battle of one man doing his best as an artist to scrape by and make it as a successful musician. The Coen Brothers have proven time and time again that they can write and direct as good as the best in a plethora of genres. 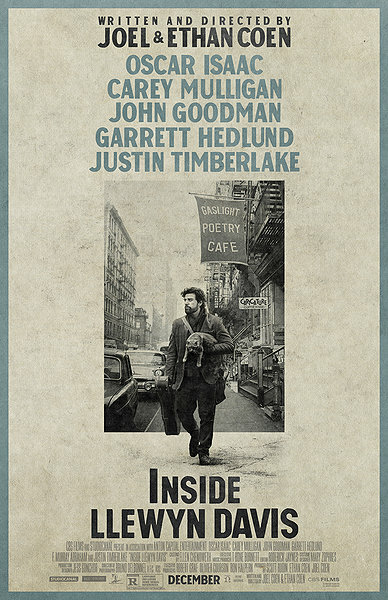 Inside Llewyn Davis expands their reach into the music scene, and so far holds a strong 92% on the Tomatometer (82% from top critics). The movie comes out in limited release on December 6th, but if you can find a showing, I think this will be one of the years best films. And finally we reach number 1 on my list, which should really be no surprise. However, if you haven’t figured it out yet, or if for some reason it’s not at the top of your list, the movie that I am most looking forward to is the much anticipated, two hours and forty-five minutes long, The Wolf of Wall Street. This movie looks very promising to clean up at the Academy Awards this year. Scorsese is reunited with Leonardo DiCaprio to tell the crazy but amazing story of crooked banker Jordan Belfort. Along with Leo, Jonah Hill and [recently revived] Matthew McConaughey star, and, for any Friday Night Lights or Walking Dead fans out there, Kyle Chandler (Coach) and Jon Bernthal (Shane) are featured in supporting roles. Look, this movie is going to be epic, just watch the trailer! It even almost got pushed back a year because Scorsese’s first cut of the motion picture was 3 hours with an NC-17 rating! The movie comes out on Christmas day and will easily be a contender for many Academy Awards, especially Leo, who looks phenomenal in the trailer, and deserves an Oscar for Best Actor more than anyone. So there you have it, the five movies that have most caught my attention recently and excite me as 2013 comes to a close. While these are 1-5, I have to give special mention to Out of the Furnace and Oldboy (check out the original if you have Netflix! ), which I am also very interested in checking out. For now, I hope everyone gets to check out these films because I think they will all be awesome and it never hurts to see a variety of stuff! I’ll definitely post individual reviews for any that I do see, and I’ll probably put together a year end post similar to this, picking my top 5-10 favorite movies from this year. What five movies are you most excited for in the rest of this year? Similar to many, I was very excited to see the new Cormac McCarthy and Ridley Scott thriller, The Counselor. Unfortunately, after my viewing late last night, I regret the decision my friends and I made to see what felt like a cheap let down in McCarthy’s first original screenplay, that came across as a wannabe No Country for Old Men. The plot revolves around a man referred to only as The Counselor (Fassbender); a successful lawyer who seems to have it all until he uses one of his past client connections only known as Reiner (Bardem), to become involved in a high stakes drug smuggling deal with a massive monetary payoff, that spins wildly out of control. While the film packs an all-star cast which stars Michael Fassbender, Javier Bardem, Brad Pitt, Penelope Cruz, and Cameron Diaz, it is still not enough to correct the flawed story and poorly written characters. While I still felt that the cast portrayed their roles well, the characters themselves seemed to lack depth and get caught up in the tongue-twisting dialogue (mainly) about greed with a mix of foreshadowing. The plot struggles very quickly into the movie and throws viewers into an intense scenario with little background information, which creates a natural feeling of disbelief. For instance, there is essentially no driving reason behind The Counselor’s decision to enter into this smuggling deal. I believe he briefly mentions to Reiner that he needs the money; yet, it’s tough to understand why he needs to risk everything on gaining $20 million while he spends the duration of the film speeding around in a convertible Bentley and attending parties and dinners where the level of luxury is displayed by having domesticated cheetahs everywhere. While I enjoyed Brad Pitt as the middle man called Westray, I didn’t see a huge need for his character. Westray’s meetings with The Counselor revolve around describing the terrible ways his cartel business associates kill people (snuff films and a motorized thick wire strangulation device) and reminding The Counselor that if the deal goes south, he has an escape plan while The Counselor does not. When I got to the end of the movie, the plot was all over the place and left me very confused. There are many unnecessary scenes with confusing and (too) vague of conversations on top of even more unnecessary characters, many of which only serve the eventual purpose of dying. Initially, I had no idea what I had just watched, but I was nowhere near satisfied. If anyone did like the film, comment, and let me know why! I’m always open and curious to hear people’s perspectives! I’m a fiend for Fassbender. The guy is an excellent actor and I really don’t think I’ve seen a movie where I did not enjoy his performance. I’m planning on checking out The Counselor tonight, but in other news on the actor, Fassbender is set to star in Macbeth along side of Marion Cotillard. Hopefully the adaptation of Shakespeare’s work will do the original a justice, but Fassbender and Cotillard are promising choices for the lead roles. I’m excited to see more about this, and am hoping it will be worth the watch!